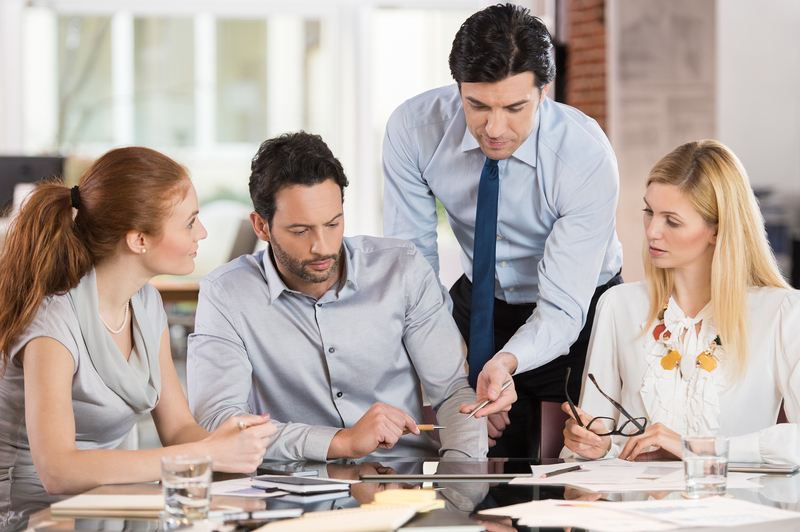 An effective team leader needs a variety of characteristics and skills to encourage team members to follow them and facilitate success in the workplace. Team leaders can naturally possess some important qualities, such as compassion and honesty, but many are learned through formal education and experience. As a leader, you need to be able to clearly explain everything to your team members, from organisational goals to specific tasks. You must master all forms of communication, written and verbal, one-on-one, departmental, large meetings etc. Leaders should also have negotiation skills to achieve results, solve problems and streamline decision-making processes. One of the most important aspects of communication involves listening and being open to suggestions and feedback. Leaders should aim to establish a steady flow of communication between themselves and their team members and ensure they are aware of any concerns. Effective team leaders have exceptional organisational skills. These skills help them plan goals and strategies, allowing team members to perform optimally. Leaders have a long-term vision for the future and avoid getting bogged down. They can balance the need to be tactical when necessary while maintaining a strategic outlook. Strong organisational skills help leaders become powerful facilitators, helping workers to understand their goals and meet them efficiently. An effective leader needs to be confident in their abilities as well as the abilities of their team members. Confidence ensures decisions which affect everyone are securely made. A confident leader who displays conviction reassures team members of their authority and inspires confidence in others. Great leaders are honest and transparent. They realise they are responsible for the team and are willing to accept blame when things go don’t go correctly. Leaders follow through with what they agree to do and are consistent with rewards and recognition. They are comfortable outwardly admitting their own strengths and weaknesses. Sharing the good and bad shows good character, builds trust with team members and creates a more supportive and strong team dynamic. Mishaps and last-minute changes are a reality in every workplace. Leaders need to be flexible enough to accept and adapt to any changes coming their way. Today, the business environment in most companies is changing faster than ever before. Great leaders see changes coming on the horizon and try to position their team and the organisation to be in the right place when it happens. Adaptability requires creativity and the ability to recognise the possibility for improvement and the power of fresh ideas. Good business is built on a foundation of relationships and trust. Good leaders take the time to network and build relationships in and out of the workplace, with team members, customers, industry partners, vendors and the community. Leaders spend just as much time developing their workforce as they do developing and building their own technical and professional expertise. They train and nurture promising employees to become great leaders themselves. Effective team leaders know how to share leadership through delegation. Delegating certain tasks to trustworthy team members ensures work is completed more efficiently and the leader has time to focus on improving workplace operations. Effective delegation skills require leaders to know the strengths and weaknesses of their team members so they can influence the right skills from the right people for different scenarios. Good leaders avoid micromanagement and are willing to give up complete control. They instead focus on empowering employees and looking at the bigger picture. Becoming a great leader requires experience and quality education. The leadership courses available at the Australian College of Professionals can help you develop the key attributes required to be a good leader, from emotional intelligence and relationship management to operational planning and staff recruitment. If you would like more information about our leadership development courses, contact the Australian College of Professionals today on 1300 88 48 10 or get in touch online.